It is advisable that every renovated property undergoes a deep and thorough cleaning, otherwise, the dust and the building leftovers may cause health issues to the people, who live in it. We are a reliable and trustworthy cleaning company in East London and our hard working cleaners are masters at cleaning post builders. They operate 7 days per week and their assistance won’t ruin your budget. Our company was established several years ago and since then we have cleaned deeply a countless number of properties. Customers prefer us to other companies because we possess the required expertise to carry out an efficient after builders cleaning and ensure a clean and sanitised environment for their families. Give us a chance and you also will see the high results of our work. In order to deliver a reliable cleaning solution to our clients, we have developed a package that includes all must-do procedures after a renovation project. 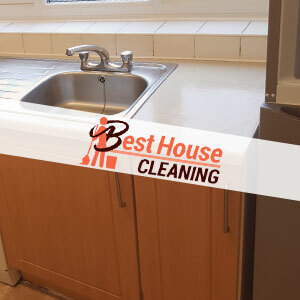 In our after builders cleaning is included comprehensive cleaning of the whole kitchen, cleaning the internal windows, the ledges and the skirting boards, removing dust from furniture, hoovering all carpets, washing the hard floors, sanitising the entire bathroom, etc. Leave the post-builders cleaning to us and you won’t regret. We know how to deal with every persistent glues stain or a thick layer of industrial dust. You can rest assured that we will clean precisely even the most inaccessible places and ensure a clean and disinfected environment for your children. You can trust us because our team consists only of experienced and hard working cleaning experts, who possess the requisite knowledge to deal with all types of building leftovers. Supplied with the most modern cleaning equipment, they will make your whole property spotless in a couple of hours. If you also need a hand with the cleaning of your renovated property, all you need to do is dial our number. We operate in the entire East London and you will receive our assistance exactly when you need it.